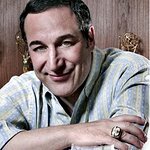 Fusion today announced a documentary project with critically acclaimed television writer-producer Sam Simon. The Simpsons co-creator has given Fusion exclusive access to the final months of his life, allowing the network to document the powerful and emotional story of his fight in two battles — one against cancer and another for animal rights. In late 2012, Sam Simon was diagnosed with terminal colorectal cancer which has since spread to several other organs. As he battles the cancer, Simon is giving away most of his fortune to save animals from harmful and abusive situations worldwide. “Sam Simon is a singular figure. Our hope is to pay tribute to his life and career while also sparking an important conversation about animal rights and empowering young people to be a catalyst for change,” said Fusion CEO Isaac Lee. Simon is a longtime member of the National Board of PETA and has also contributed to Captain Paul Watson’s Sea Shepherd Conservation Society, a global marine conversation organization which combats whaling and illegal fishing around the globe. In 2011, Simon also founded The Sam Simon Foundation: Feeding Families, a mobile vegan food bank that currently feeds 400 unemployed families each day. 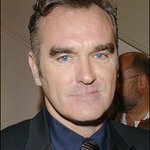 The documentary project is being produced in conjunction with Wayfarer Entertainment.